Sonata Senior Living’s communities are located in Central Florida and while we usually enjoy sunny, beautiful weather, the summer heat can make our residents and team members especially vulnerable to dehydration. Since we’re focusing on promoting hydration this summer in our communities, we’ve put together some tips to staying hydrated and preventing dehydration that everyone can benefit from! It’s easy to learn the causes of dehydration and steps to prevent it with these tips. Increased heart rate, heart palpitations (or spasms) in the heart muscle. Blood pressure may drop. Thirst is often confused with hunger. When you feel hungry, drink water! True hunger will not be satisfied by drinking water. Of course, please speak with your doctor before beginning any new dietary program. 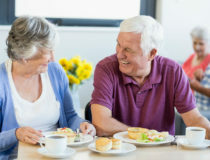 Seniors and their families can rest assured that our personal approach to care carries over from one community to the next, allowing as many opportunities as possible for residents to live life their way. 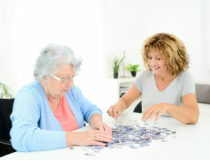 Sonata Senior Living communities offer independent living, assisted living and memory care. Exclusively in Florida, we provide a worry-free, robust lifestyle featuring innovative programming, cutting-edge technology, supportive care & wellness-focused services.